Our spouse is our helper, our lover and our gift. We can’t take them for granted. Just like we shouldn’t expect so much from them. Before we got married maybe we all had our own ideals of what marriage would be like, what our Prince Charming would do for us or how our sweet housewife would make us feel. But the reality is marriage is not about Prince Charmings who are going to sweep us off our feet or wives who will turn out just like our mums. It’s totally different from that and a whole lot better! But even though we know it’s not like our high school fantasies, or just like the movies, sometimes we still hold these ideals deep down inside and stir them up into our normal, so they become expectations of what we expect our spouse to be! We expect them to buy us flowers and write us love letters, or make us a 5 course dinner everyday just like our mum did. We expect them to tell us we are beautiful every 10 minutes, or we expect them to listen to our talk about sport and video games all the time. We expect them to gaze into our eyes daily as if we are the most beautiful thing they have ever seen, or to gaze at the TV screen whilst we play video games for hours! We expect them to help us with the chores, or expect all the chores to be done by the time we get home. We expect them to listen to every detail about our day and tell us we are right when we know we are wrong, or we expect to come home, chill on the sofa and zone out. Men and women are 2 totally different species, so we have 2 totally different sets of expectations. Which can at times cause frustration, or arguments or complete rejection of each other when they are not being met! 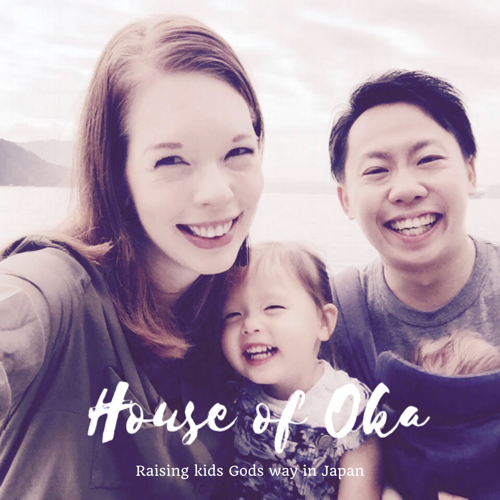 There have been endless times when I have got frustrated at Hiroshi, had a huge blow out, slammed doors, done the silent treatment, cried or created fights with him inside my head – simply because he hasn’t met my expectations. This verse is challenging – especially in a marriage relationship!! But I realized I can’t keep being like this, I need to grow in my relationship. We need to know each other more, love each other and try to understand each other more. I don’t want to hold pride and my expectations higher than my love for my husband. And we need to be on the same page in the area of our expectations! So what can we do about our expectations? Here are 4 steps to dealing with our expectations of our spouses. When we first got married my expectations and Hiroshi’s expectations of me were totally different, not at the least because we were from 2 different cultures and had carried our cultural expectations into marriage with us. I expected him to be home early and listen to my emotions and feelings and make me feel good about myself. He expected me to come home and make dinner and zone out with him on the sofa whilst watching Japanese TV! The reality was our expectations of each other were not matching. I think my biggest, most unrealistic expectation was that ‘my husband’ would fulfill my every need!! Let me tell you that is not the case! A husband can not fulfill our every need, only God can do that!! Sometimes our expectations of our spouses can be ridiculous! When I have watched too many romantic movies or held onto my notions of how marriage should be from my parents or what I thought marriage would be like when I was a kid, they have got in the way. Because every marriage is different, so I can’t use some idealistic notions that I have read in a book and place them on my marriage. Hiroshi is not the kind of person who is going to sing me love songs by candle light (partly because he can’t sing!) or build me a cupboard (generally because he hates that kind of thing) or sweep me off my feet and carry me through the house (mainly because he is short and I am tall and that kind of figuration just wouldn’t work!). And it doesn’t make our marriage any worse because he can’t live up to those ideals. I realized a lot of my unrealistic ideals of how I thought marriage would be, had to be thrown away. If you are still holding onto old ideals of marriage or lofty dreams of how you thought your marriage would pan out, let go of them. Don’t fall into the expectation trap of expecting them to be someone or do something at a specific time or in a specific setting. Sometimes we are just placing expectations on them that they are never able to meet. They can not be our Mr or Ms Perfect! Think about it would you like them to expect perfection from you? The reality is they can not meet our every need and desire, so we have to let somethings go. Think about what are realistic and unrealistic expectations of your spouse, before you place it on them! I am the kind of person who will quietly stew inside whilst my husband has no idea why I am so mad, because I have expectations of him I don’t communicate and then it bubbles up and bubbles up as I add more ingredients from recipes of expectations I have had stored on my shelf and each time my husband doesn’t live up to it, I add it to the pot quietly inside, until it all adds up and boils over… into one huge blow out! All because I didn’t bother to tell him what my expectations were. Sometimes our expectations are realistic, like I expect my husband to help me with the kids when he is around rather than just watch TV or play on his phone. I expect him to do some chores around the house. Or to share the meal preparation. Or I even expect him to encourage me and say I love you and kiss me everyday. But it didn’t start off like that in our marriage, I had to communicate that these were my expectations. When we have expectations we need to tell our spouse, they cannot read our mind, so we have no right to get frustrated at them when they don’t live up to our standards, if we haven’t communicated them to them. At the same time, they have the right to tell us whether or not our expectations are realistic or not, because sometimes we may be very emotional and communicate ridiculous things again…! So our expectations are a communication game! Sometimes we hold dreams and expectations of our marriage, our life, future and family, tightly. There is nothing wrong with having dreams and ideals, but sometimes we may hold on too tight to ideals that can affect our marriage or lead us in wrong directions. For a long time I held onto the idea that my husband and I should live with the same vision, that our visions should align together and we should do the same thing. We had lead a church together for sometime and were passionate to lead people to Jesus. So I couldn’t understand when my husband wanted to move into the business world, of which I had no interest or passion for. My expectations for our marriage were getting in the way. So I need to go to God, get his wisdom and give these expectations to him. After seeking God I realized I had placed unrealistic expectations on my marriage too, whilst we both have purpose to reach out to people and show them Jesus. Sometimes our visions and way of doing things are going to be different. I needed to have my own personal vision too and not live under my husbands vision. This is an area I am continually growing in! Whilst we know our spouses more than anyone, there is always still more to learn about them since they are changing beings! We need to learn how they think, what they need and how they feel loved and put it into action. I always appreciate how my husband says he wants to know me more and then subsequently tries to listen and understand my situations and do something to help me. I want to be someone who can do the same for him and learn more about him so I can love him more! Having expectations is not a bad thing, but we need to know how to manage them and recognize when it’s our expectations that are causing disappointments and frustrations in our marriage! How about you, how have your expectations caused disappointment in your marriage? And how are you living to stop your expectations get in the way? Thanks Donna you are always so encouraging! Your message today is important. I really do believe more marriages would thrive if spouses would heed your advice on expectations! Thank you Laura for reading! It’s so hard to share your expectations sometimes, but you’re right, they need to be shared if we expect our spouse to live up to them. I’ve recently realized that for some reason I have a hard time telling my husband what I want. I don’t know why exactly, but I think I feel kind of selfish doing it, even though I realize it would actually be really helpful to him. Thanks for the encouragement to be more open about expectations. I love this! It’s so easy to fall into the trap of unrealistic expectations, but I do it so often. I expect my husband to react a certain way, or do something special for me, but I never tell him. If we share with one another what we expect, it’s like our life becomes easier and our marriage thrives. Thanks for sharing this message!